EXTENDED FLOOR PLAN MAKES THIS HOME SEEM EVEN LARGER THAN IT ALREADY IS! Original owner extended the great room & opened the wall so the living area is huge! 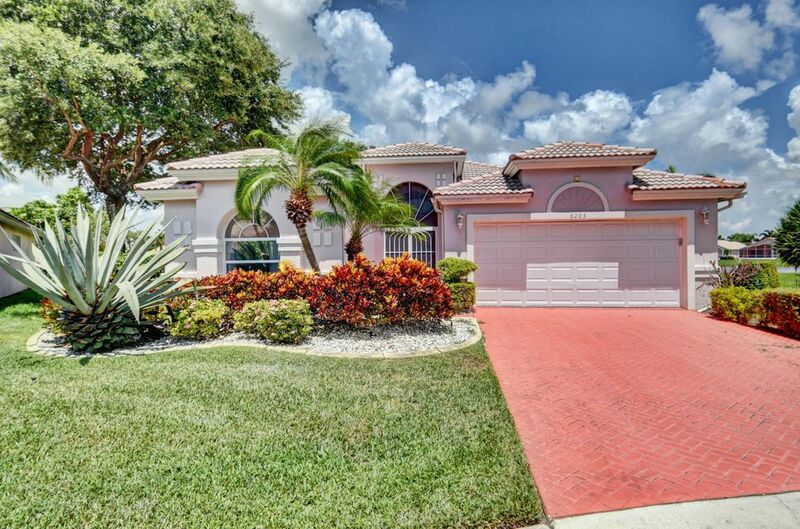 Open from the kitchen, enjoy entertaining on the screened in oversized lanai. Privacy on this corner lot with custom landscape design is inviting to all! Granite counters and backsplash, light cabinets, new refrigerator and a/c unit are just a few of the upgrades in this well loved floor plan. With Accordian shutters for hurricane safety,this home is priced to sell! Walk to the very active clubhouse & enjoy live entertainment in the grand ballroom,card rooms & clubs, organizations, tennis with pro onsite, fitness center, pickle ball, indoor/outdoor pool, social director, & so much more! Love this very special 55+ active community!